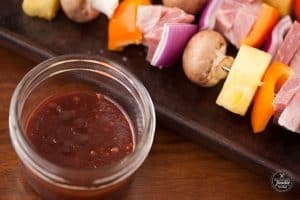 Hawaiian Ham Skewers, made with a pineapple grilling sauce, ham steak, and fresh vegetables, are not only insanely delicious but are super easy to make. This is an incredibly easy recipe to make for dinner or if you’re feeding a crowd. Because the ham is already cooked, you only need to grill the skewers until they’re heated through and the tasty sauce sets. Is there a difference, really? Well guess what – I looked it up. 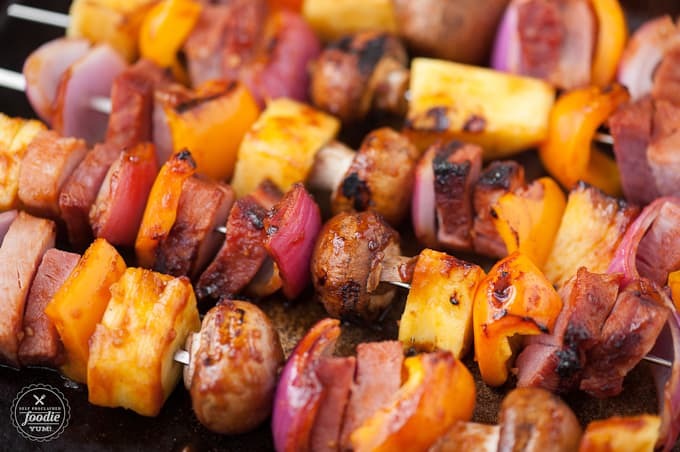 According to the internet, a skewer is the physical object on which food to be grilled is put. They can be metal, bamboo, or other materials. A kabob is a specific arrangement of meat and vegetables, put on a skewer, and grilled. Regardless of what you call them, I was truly surprised at how delicious these Hawaiian ham skewers were! In my head I had planned on just threading the ham steak and veggies onto the skewer, grilling them up, and calling it good. Then I had the fantastic idea of making some kind of pineapple grilling sauce. Pure genius. 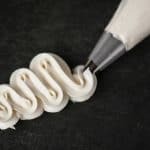 Why are these skewers some of the BEST skewers you can make? 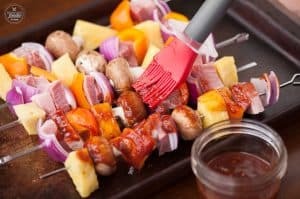 Besides the sauce, the other reason these kabobs are so fantastic are because you’re not dealing with any raw ingredients. When you make chicken, beef, or shrimp kabobs, you have to cook them until the meat is safe to eat which often times over cooks the veggies. Since the ham steak is ready to eat, you’re essentially grilling them up to heat them all the way through (because who wants to eat a cold dinner, right?) and to infuse all that glorious flavor of the sauce over a searing hot grill. The combination of flavorful meat, juicy pineapple, and crunchy seared veggies all smothered in that easy to make barbecue sauce makes for an outstanding meal. 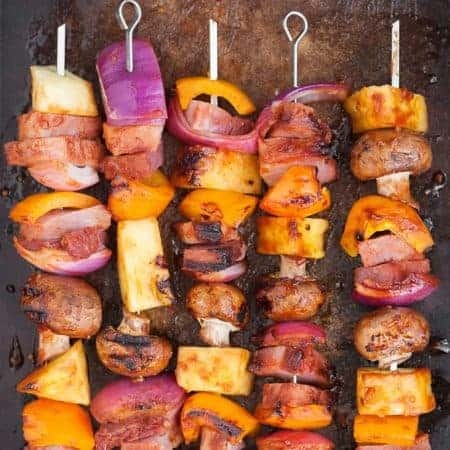 This is one of those recipes you can have the kids help with too as long as you trust them not to stab themselves in the hand as they thread the food onto the skewers (ahem, I may have done this once or twice myself). 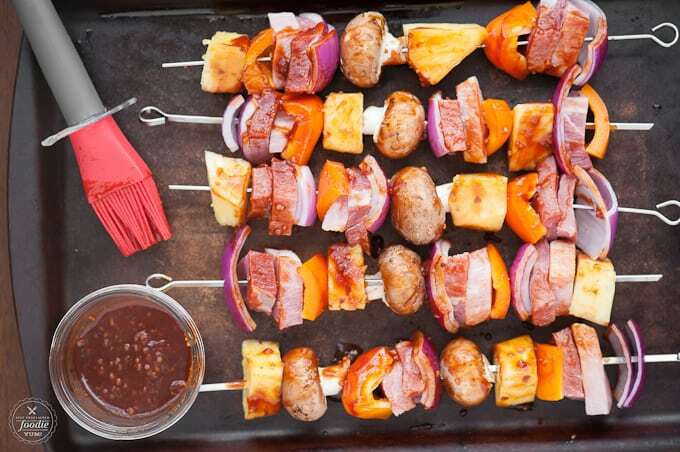 What do you serve with ham skewers? 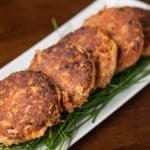 We happened to enjoy these for family dinner with a side of rice, but they would be perfect for tailgating. 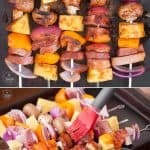 Can you make shish kabobs ahead of time? Sure can! 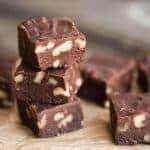 You could do all the prep work ahead of time, throw them in an air tight container, and then throw them on the grill when you’re ready to eat. Perfect! 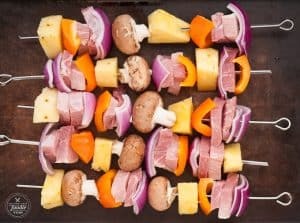 To assemble the skewers, cut the ham, onion, pepper, mushrooms and fresh pineapple into 1” cubes and thread onto metal or wood skewer sticks, alternating ingredients. 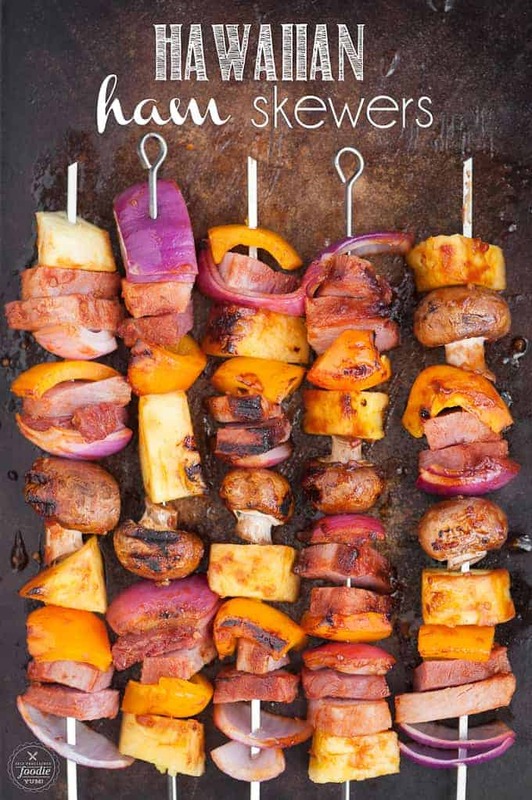 Cover skewers with grilling sauce. 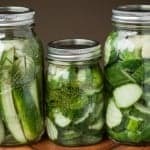 This can be done ahead of time and then stored in the refrigerator, if needed. 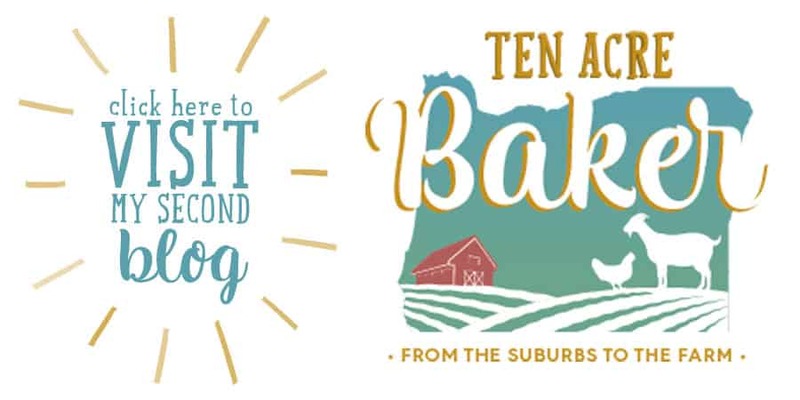 Makes 10 skewers. Nutritional info based on one skewer.